It’s a proven weight loss program that works. Created by a weight loss physician and award winning chefs. Put Bistro MD experts in your kitchen. Get free shipping on your next order ($24.95 value). 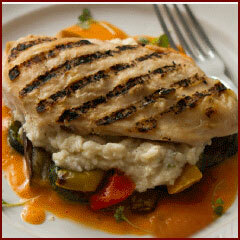 Bistro MD (aka Diet To Your Door) is one of the most popular online diet delivery services today. Eating their tasty and well balanced diet meals is a safe and sure way to lose excess body weight, get healthier and still have lot of spare time for doing better things in your life. Not all of us have the time to personally prepare diet foods on a daily basis. Here is where the BistroMD personal chef comes. Their unique service will prepare and deliver just to your door only fresh and unbelievably tasteful balanced diet meals. Just stick to their gourmet diet foods and you will change your eating habits and lifestyle sooner than you expect – Guaranteed! Why is Bistro MD Diet so special? Bistro MD diet service is proven to work for weight loss. Meals are well balanced, fresh and tasty. They actually improve your metabolism and give everything your body needs – quality proteins, enough carbohydrates and low fats. Among with that, you lose weight safe and healthy. They have a huge variety of over 100 meals to choose from. The daily plans range from 1100-1400 calories, which is considered as healthy by the doctors. You don’t need anything more to lose weight, but to follow their easy as 1-2-3 diet plan. With Bistro MD diet you eat the same foods given in diet clinics and you have a toll free phone or mail support from their dieticians. I assure you, you can completely trust to Dr. Caroline Cederquist, M.D. (the founder of the diet) and her stuff of about 5 dieticians. It’s the same like having a personal coach, but less cheaper. Meals are shipped every Monday. They arrive fully cooked in special packets to ensure the perfect condition. All they need for preparation is heating. You will be free of cooking and shopping for the whole week. I suggest you to be very careful with all that food planed for one week. Believe me – you can easily eat all of it in 5 days or less. I know it looks good, it is tasty and you are very hungry… but after all it’s for weight loss. Bistro MD diet meals are well balanced, high protein and low fat, but if you add some extra food to the plan – don’t expect results. It’s up to you. Dieting is Easier When You Love the Food. Get delicious meals shipped to your door. It’s a proven strategy that works!